To say that a meeting of fellow Vmaxers from all over the country was an ideal come true is putting it mildly. There is only one word to describe most Vmaxers.......passionate. 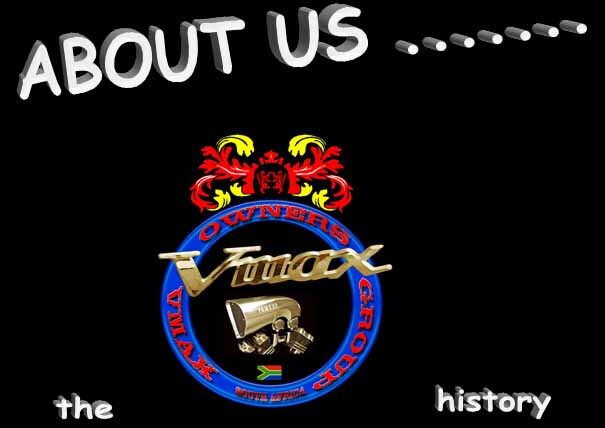 It was this passion for the original hot rod cruiser muscle bike that set the chain of events that led to not only the historic first Vmax get together, however also a dedicated web page for Vmaxers to share everything Vmax related. Prior to 1994 South African bikers had little choice of motorcycles and in general you either saddled an off-road or a road bike. Choices where limited. Lately it is however very clear that in particular cruiser bikes are becoming more and more popular. I was amazed at the growth in numbers of cruiser bikers on our roads and particularly the increase in numbers of the so called power cruisers. The Vmax was the first power cruiser and arguably the standard by which performance cruisers are measured, even 23 years after it was unveiled in 1984 in the USA. During 2004 and 2005 I wrote several letters (with specific Vmax content) to Bike SA for publication. 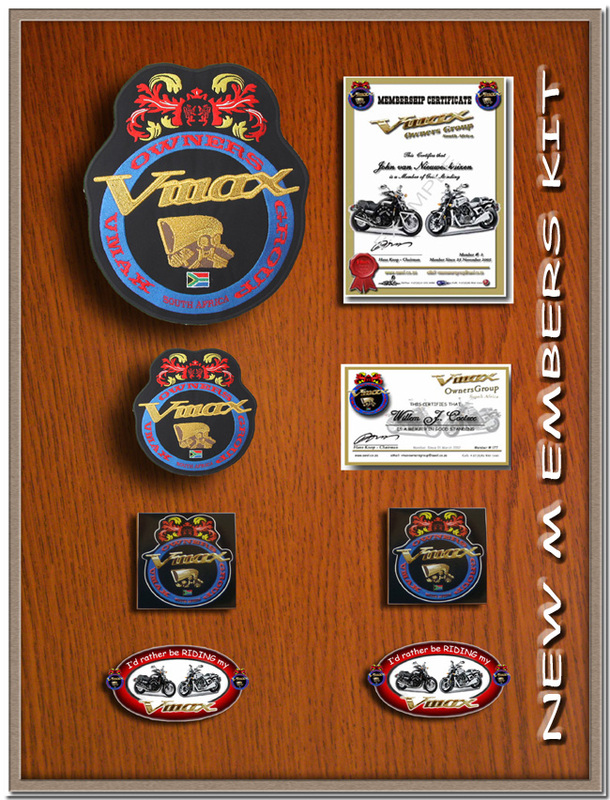 These letters gave historic information on the Vmax and welcomed the newer kids on the block to the power cruiser arena namely the HD Vrod and The Triumph Rocket III. Hans Knop also responded to these letters via Bike SA. Len Graskie from Amanzimtoti also added contributions. Similarly I made contact with Vmaxer Nico Venter in 2005 ,who himself has informally organised rides with other Vmaxers on the Witwatersrand. Nico put me in contact with another Vmaxer Jim Bramley from the Johannesburg area to whom I also spoke too . There clearly seemed a shared passion for the Vmax all over the country. 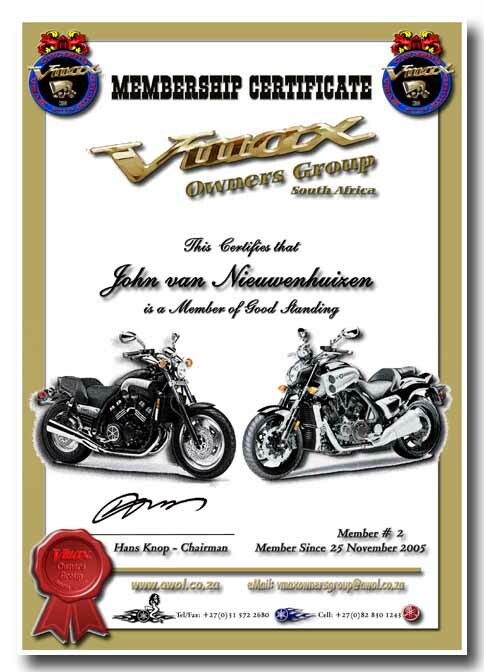 Hans published a letter in Bike SA in 2005 advising that he was hosting a dedicated web page for Vmax enthusiasts. At that stage a Vmaxer from PE, John van Nieuwenhuizen had also made contact with Hans. John beat me to becoming the first member and I officially became the second member. What followed was many months of e-mail and telephone conversations between the 3 of us. 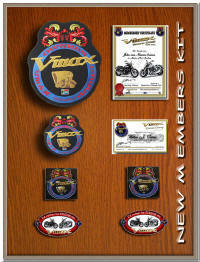 As time passed more and more members joined and the web page started to grow in size and stature. The next logical step was a get together of Vmaxers. I was very intrigued about the prospect of meeting the other Vmaxers. After Hans relocated from Ermelo to Durban he single handedly proceeded to organise the first Rally in October 2006. Hans jokingly refers to himself now as officially middle aged now that he is 70 years old. It takes a big man to saddle a Vmax at that age. Hans is a true Vmaxer. An unfortunate turn of events took place several days before the rally. While Hans was riding with his mate Hans Vrolijk, he fell and was hospitalised with broken ribs, shoulder-blade and collarbone. It clearly seemed that he would not be able to attend the rally and the entire event seemed to hang in the balance. Concerned Vmaxers like Guy Sheehan from Salt Rock, KZN suggested that we take a mass ride to the hospital to see Hans which was a good suggestion by Guy. Surprisingly Hans got himself discharged on the Friday and attended the event that he had organised. Clearly Hans was in a lot of pain and his wounds where still bleeding, however he remained present for the entire weekend . 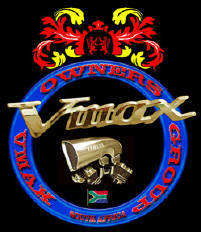 · is a group of Mature....Passionate.......and dedicated Vmaxers of which 99.9% are residing in South Africa. · is a private, non profit making organisation. 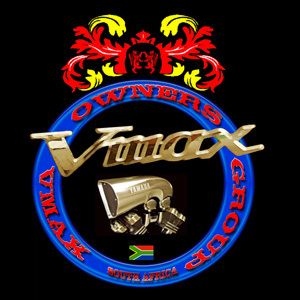 · To bring all SA Vmaxers together by way of this 150+ page website and our regular eNewsletters. · ALL ASPIRANT MEMBERS ARE TO SUBMIT AT LEAST ONE PICTURE OF THEMSELVES AND THEIR MAX WITH THEIR MEMBERSHIP APPLICATION. · MEMBERS ARE TO WEAR our Colours at all times. However, if they ride with their local bike club......who's rules might stipulate to ride with their Colours...... they can do so........after all we don't want to embarrass them with our Exclusive Colours. · ALL MEMBERS are expected to behave like real Vmaxers behave all over the world.........keep to the speed limits at all times or at LEAST don't exceed the local speed limit by more than 100 km/h. · Oh ...............ja........and no wheelies in RESIDENTIAL AREAS.........! ! ! ! ! ! * Dedicated to Vmax Owners and Enthusiasts Worldwide. * Frequented by visitors of, approximately, 80 countries worldwide. * Probably one of the largest Vmax dedicated websites in the World. * Has become, over the years, a mini Vmax Encyclopedia. ALL 150+ PAGES of our WebSite are open to all Visitors; NO REGISTRATION or PASSWORD is REQUIRED. OF THE CONTENTS PAGE, INDICATES HOW MANY TIMES our WebSite has been Updated since it's inception. WHO QUALIFY TO BECOME MEMBERS ? ?